Welcome to English Conversation Club! 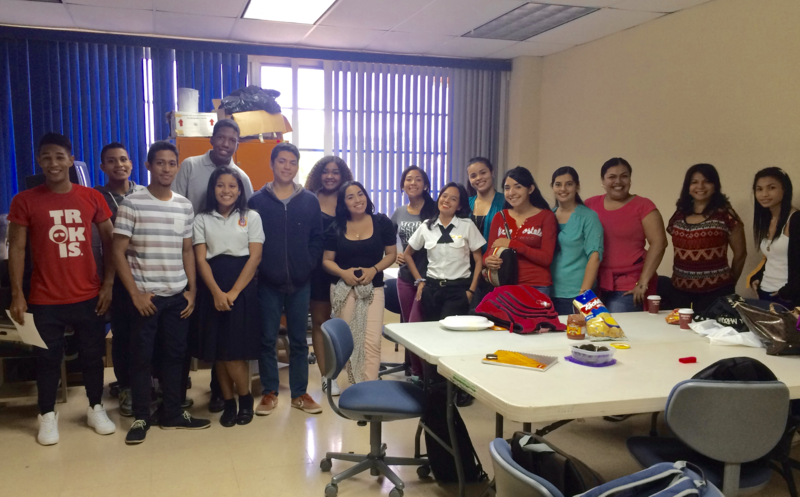 CEL also offers our students opportunities to apply their English-language skills outside of the classroom! Join us for FREE every week in English Conversation Club! In Conversation Club, our focus is on expanding your vocabulary and comfort using the English language through games, videos, and discussions. Use your knowledge of English to engage in real conversations and activities with other students from the university and even students from other countries! WHO: ALL levels of students! As a club, we also do off-campus trips to restaurants, the movie theater, Casco Viejo, and even Isla Taboga to offer students even more practice using English in real situations! Language is meant to be USED! 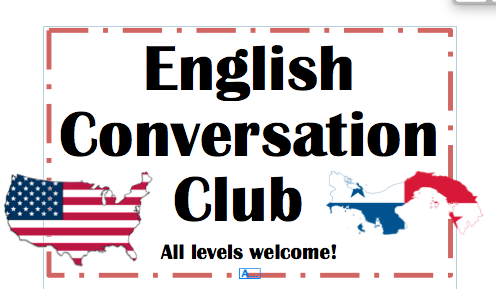 Come join us in English Conversation Club! Contact Abigail LaPlaca at aslaplac@buffalo.edu for information about how to join. ¡Bienvenidos al English Conversation Club! ¡En el CEL también ofrecemos a nuestros estudiantes la oportunidad de practicar sus habilidades en el idioma inglés afuera de la aula! ¡Únete GRATIS cada semana al English Conversation Club! Nuestro enfoque es el desarrollo de tu vocabulario y tu seguridad con el idioma inglés a través de juegos, multimedia y debates. Usa tu aprendizaje de inglés para involucrarte en conversaciones reales con otros estudiantes de la UTP e incluso, estudiantes de otros países. ¿QUIÉN? : Abierto a TODOS NIVELES! Como un club, también te ofrecemos giras grupales a sitios como restaurantes, cine, Casco Viejo e Isla Taboga, para dar a los estudiantes más oportunidades de utilizar inglés en situaciones reales. ¡Hay que USAR el idioma! ¡Ven y únete con nosotros en el English Conversation Club! Para más información contacta a Abigail LaPlaca Email:aslaplac@buffalo.edu.